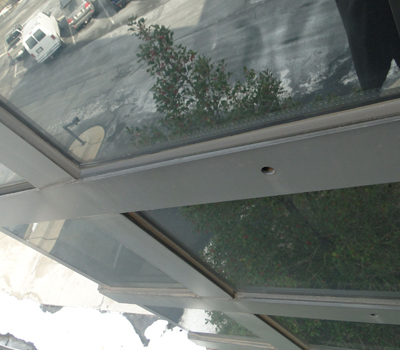 Sparkling clear and streak-free windows make a great impression on your facility visitors. 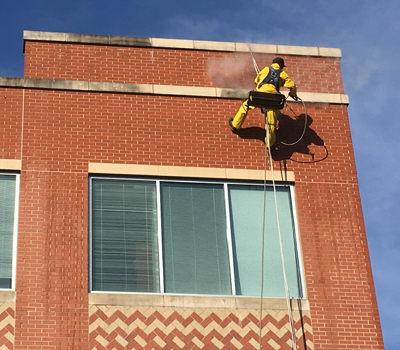 Crystal Window Cleaning Co. specializes in commercial glass cleaning for buildings both tall and small. Crystal Window Cleaning Co. provides you with the BEST VALUE in window cleaning and we always stand behind our quality. Inside and outside, or outside only, the choice is yours. 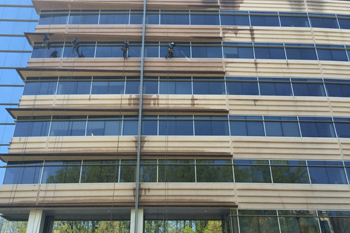 Reliable and dependable, bonded and insured, our team of highly skilled and professional commercial window washers is equipped and ready for any window cleaning task, including mineral deposit and stain removal. Services provided one time, or with an annual contract, every time you get the BEST WINDOW CLEANING SERVICE service available. 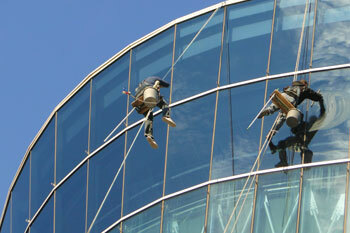 Crystal Clear Window Cleaning Co. is the Clear choice for you. Is your building or concrete walkways flatwork in need of a thorough cleaning? 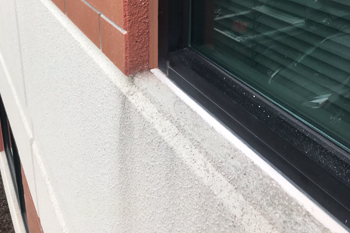 Crystal Window Cleaning Co offers pressure washing options that can handle the toughest mold, mildew, dirt, and algae that cling to your building exterior and walkways. 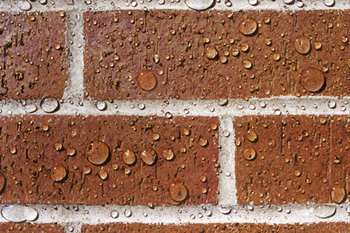 High and low-pressure cleaning options are available to fit any of your exterior cleaning needs. 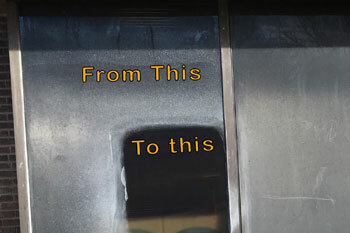 Glass restoration is a process that requires time and attention to the smallest detail. Crystal Window Cleaning Co’s Glass Restoration Experts have restored thousands of windows and can restore the oldest of windows with sacrificing any of their unique character and appearance. 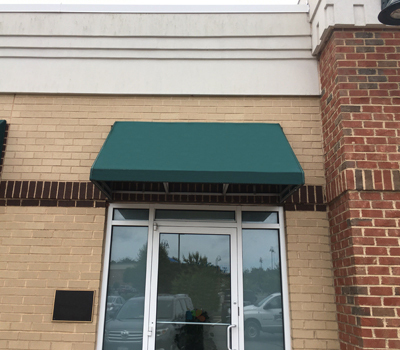 Environmental damage such as rain, sleet, sun exposure, and algae can cause staining and damage to your facility’s awnings. 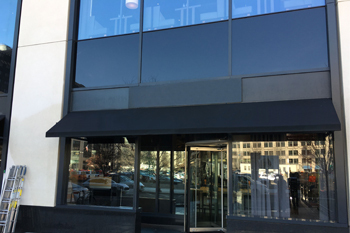 Don’t replace your awning yet, even the dirtiest awnings can come clean. Regular cleaning and maintenance ensures your property’s awnings will stay useful and beautiful for many years to come. 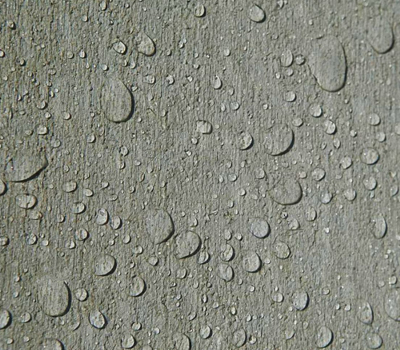 As properties age, the caulk which seals around windows, doors, and expansion joints will begin to deteriorate. Our experienced caulking mechanics utilize the latest materials and techniques for resealing deteriorated caulk joints. Water is the single most damaging element to your building facility and keeping your building watertight is crucial to the structural preservation. From New Construction to Restorations, Crystal Window Cleaning Co’s Waterproofers have the experience needed to accommodate all of your waterproofing needs.